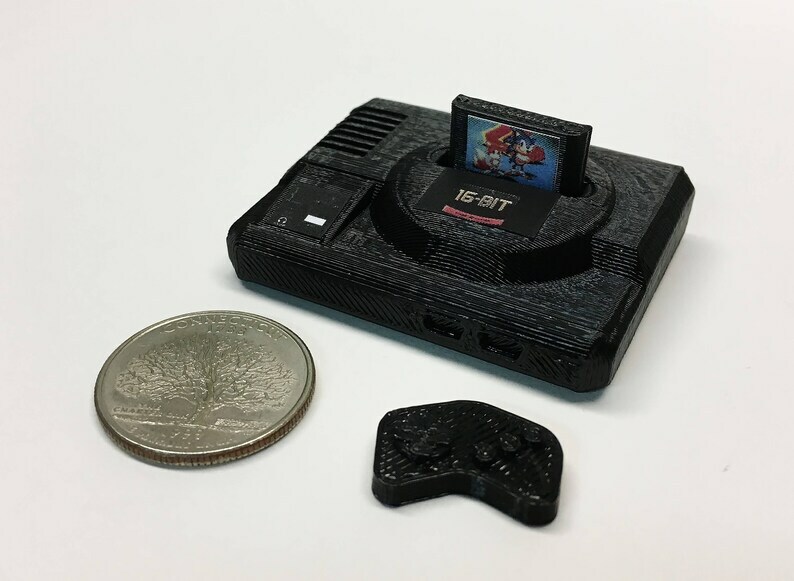 This tiny, 2" wide Mini SEGA Megadrive was designed using open source CAD software, 3D printed on a Makerbot Replicator, and hand painted and assembled. A great addition to your desk or studio. Includes one Genesis machine, and one cartridge, and one controller. Always quality, always detailed, always awesome. Sega Does What Nintendon't. Mini BBC Micro Model B - 3D Printed! Mini Atari Jaguar - 3D Printed! Mini INTV Corp System III - 3D Printed!